Android started with a simple thought: when everybody participates, good things happen. In 2014, Android evolved and opened up to new screens for your wrist, car and living room. 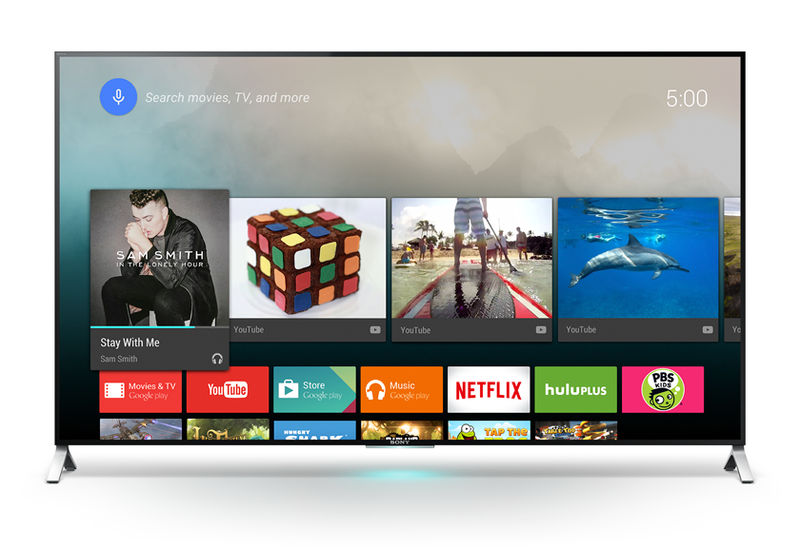 We also introduced Android TV with Nexus Player last Fall and at this weeks Consumer Electronics Show in Las Vegas, our partners are showcasing whats in store for television in 2015. This spring, Sony, Sharp and TP Vision, with its range of Philips TVs, will start shipping televisions powered by Android TV. These have all the goodness of Android TV built in so you wont need to plug anything extra into your television. You can use a single remote to watch live TV channels and play games, movies or shows from Google Play and your apps. These televisions feature voice search, to help you quickly find what you want, and theyre Google Cast Ready so you can cast your favorite entertainment from your phone or tablet to the big screen. Android TV will come to life on screens big and small, including brilliant 4K displays, thanks to the work of our partners. If you want to get in on the action using your current television, Razer just announced a gaming console powered by Android TV. Razers Forge TV has high-performance specs, a wireless game controller and allows you to stream PC games to your TV. It will start shipping to consumers in February. Huawei is also working on an Android TV streaming media player that will be ready later this year.